The Leigh Historical Society received an email from David Older who, with his wife, Maxine, were visiting Kent all the way from Tasmania in Australia. He contacted the Society, after seeing his dad’s picture on the Leigh website – the only picture he has ever seen of his father as a lad. He paid a visit to Leigh and South View in July 2018. The photo in question on the Leigh website is of the school boys and the headmaster, Mr Gibbons, clearly dated 1931. 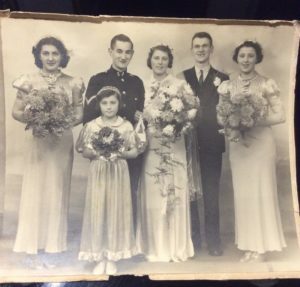 The photo had been given to the Society by the family of Geoff Hitchcock, who is also in the photo. It was a surprising find for David, particularly as he could see the family resemblance to his father. Frank Older was the eldest son of Daniel and Elsie Older (née Warriner) who are both buried in the churchyard at Leigh. They had married in 1916. From the 1939 Register at Findmypast website, they were living at 8 Barnetts Road. * Daniel is given as being born 13 January 1856, a retired forester and Elsie is given as born 26 February 1888. Daniel was a lot older and his marriage to Elsie was a second marriage. 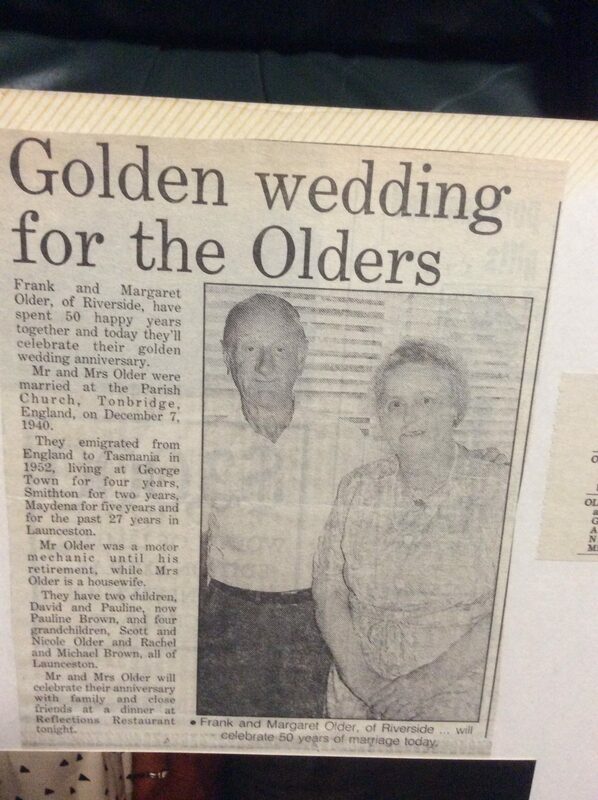 Frank also had a brother, Rowland John Older. Frank was born at Leigh on 26 June 1918, followed by his brother, Rowland in 1920, and spent all his early years in Leigh. He went to Leigh school and played cricket and football on the village green, as would have many of the boys of his generation. He also joined in the usual village pranks – of tying a string from one door to the next along a row of houses, to knock at all the doors at once – of course, he and his mates would have been long gone by the time the doors were opened! They were also taught gardening, as can be seen from the photograph. It is a picture of the older boys in the school only – and Frank would have been about 13 in 1931 – the date is painted on the side of the wheelbarrow. The Headmaster, Mr Gibbons, was keen that all the boys learnt gardening – among the tools they have are three spades, three hoes, three forks and the boys had to keep them spotless when the lessons were over. The school garden was located half way up Green Lane on the right, where Meadowbank is today, and they grew mainly vegetables which they were allowed to take home with them. Gardening was an integral part of the school’s curriculum in those days for the boys, as needlework was for the girls. It was a useful skill for boys, but Frank Older had other interests and after leaving school, he trained as a motor mechanic. He worked as a mechanic both at the garage in Leigh where the Chevrolet garage is today and also on the Penshurst estate, although it is not known whether this was before or after the war. Frank’s name is mentioned a couple of times in the local press – on 16 March 1928** – when Frank would have been nine, he participated in the village Fancy Dress Party in the Village Hall, in aid of the Children’s Country Holiday Fund. The fancy dresses were judged in classes, according to age, and Frank Older as a Sweep was awarded a prize. Apparently nearly 400 people – children and adults participated in the event. On a less positive note, there is another story about Frank – Kent & Sussex Courier on 6 March 1936 – at the age of 17½ he was bound over and disqualified from driving for six months, when he was found guilty of driving without third-party insurance, without supervision and failing to display distinguishing marks on the van. He had taken the van from his employer’s garage without consent and had become involved in an accident at Sevenoaks Weald. The Court Missionary – Mr E Havard – said, however, that the boy had a very good character up to the time of the incident. When war broke out, like many young men in Leigh, Frank enlisted and joined the Royal Engineers. He saw the evacuation of Dunkirk and the one memory of that time, was that as a Lance Corporal, in charge of a group of men, they all swam out to pick up one of the boats to take them back to England, but due to lack of room, Frank and one other man were unable to get on the boat and had to swim back. The boat was bombed out of the water. Fate had dealt Frank a lucky hand, not so his men. 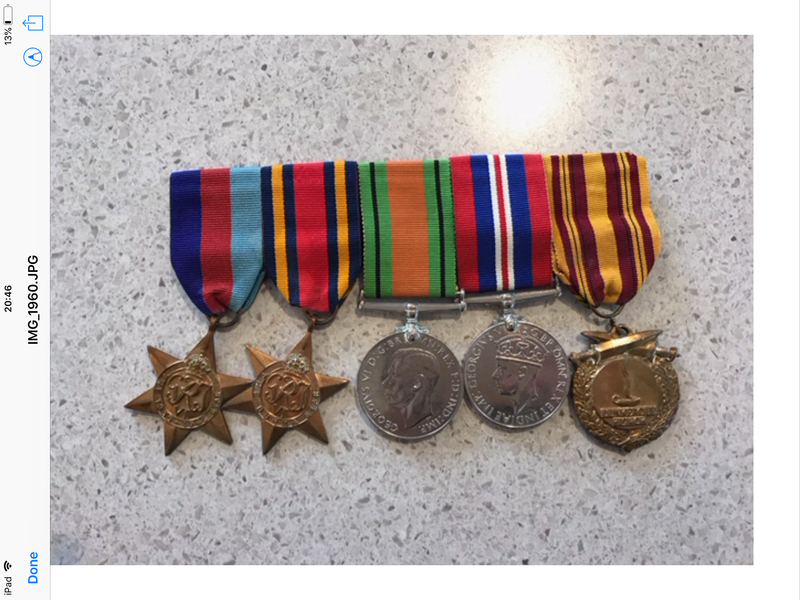 Frank went on to fight in Africa, Burma and various European countries and he was awarded four medals and during the 1990s, he received a fifth medal for his service at Dunkirk. Meanwhile, while Frank was away fighting, his wife, Margaret, went to Durham to work in a munitions factory. 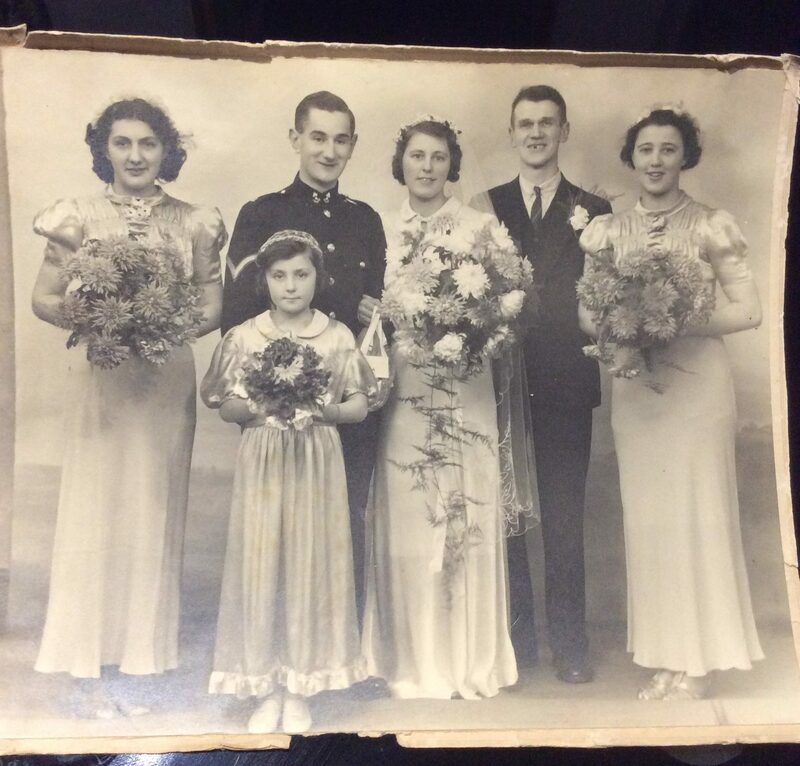 Frank had married Margaret Wallis, a girl from Tonbridge at Tonbridge parish church on 7 December 1940, whilst on leave. *** She was 20 at the time and they had been going out together for four years. In those days he used to ride a motorbike all the time, with a sidecar – and this was how he courted Margaret, who would be his passenger. After he was demobbed from the army in 1946, he returned to live with his wife at Leigh, first living with his mother, Elsie, at 8 Barnett’s Road (his father had died in 1940, aged 83). They then moved into Pear Tree cottages and later on to The Compasses. In 1950, Elsie Older died aged 67, shortly before David, her first grandson, was born so he never knew his Older grandparents. Frank’s brother, Rowland would also marry – Barbara Wykes in 1949 at Wrexham: they had a daughter, Jeannie, and a son, John. John was born in 1953 and, under the name of ‘Jon Older’, he would go on to work in films and TV, currently an Assistant Director, and has directed such shows as Dr Who and Poldark among others – currently with 83 credits to his name (2018). With both his parents now dead, Frank and his wife decided to emigrate on the £10 assisted migration policy embarked on by the Australia government. David was but 18 months old. They settled in Tasmania and Frank and Margaret raised their family. Pauline, a sister for David, was born in 1954. The family would live in four different towns in Tasmania, before Frank and Margaret finally settled at Launceston. They only ever returned to England once for a two week holiday in 1990. “The war had unsettled Frank and he had found it difficult to stay in one place for too long,” says David. In 2005 David’s mother, Margaret, died and his father, Frank, died in 2006. They are buried together in the Carr Villa Cemetery in Launceston, Tasmania. 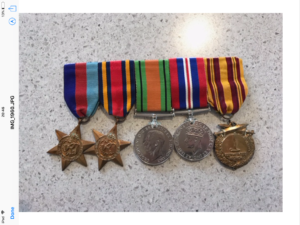 David says that the medals earned by Frank during the war are now proudly worn by his own son, Frank’s grandson, on ANZAC Day, 25 April. David still has relatives in the Tonbridge area and the UK. * Kent & Sussex Courier 6 March 1936, mentioned below, says that Frank Older was living at Old School House at the time of the driving offence.